Home » Case Studies » Eat Right, Get Moving! Client: Associated Black Charities (ABC)and the Association of Baltimore Area Grantmakers (ABAG) with a grant from the Robert Wood Johnson Foundation (RWJF). 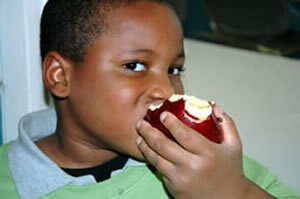 reducing childhood obesity in their neighborhoods. Blueprint report. 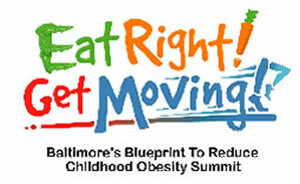 Based on consultative sessions and the recommendation of their Community Council, their goal and mission for this summit was to provide Baltimore’s children and families an educational and fun-filled experience through workshop presentations, physical and interactive activities, access to organizations and government agencies exhibiting, while offering creative, simple, and realistic preventative measures for reducing childhood obesity in the city. 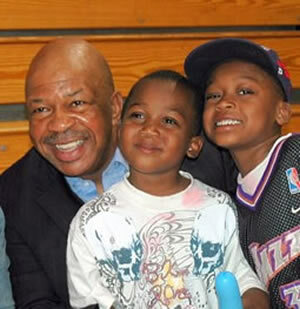 Special Gathering Event Design: Held at the Carmelo Anthony Youth Development Center, this community wide and “free to the public” health summit brought individuals, families, and community organizations together to promote healthier environments at home, school, and community. Parents, teachers, community advocates and children learned about affordable and healthy choices for food with the help of a nutritionist by shopping in Kaiser Permanente’s first ever corner store. People could also learn how to make their own meals by participating in healthy cooking demonstrations. 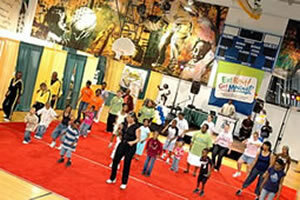 Educational workshops on healthy living were available for all ages. On the main floor, children and parents participated in various physical activities and exercise like Tae Kwon Do, boxing and aerobics and Ki-R7, the fitness robot, taught kids of all ages various dance moves. Adults could even get a glucose screening — simply by signing up. The summit was designed so that no matter what time of the day you arrived at the center, you could participate in interactive activities every 15 minutes to get you started in making the right choices for a healthier life. The Robert Wood Johnson Foundation plans to implement this uniquely designed and highly interactive model to engage community to make their own healthy choices for future health summits they are continuing to fund across the nation. A Call to Action has been made to the community to advocate for increased access to and availability of affordable fruits and vegetables in Baltimore’s underserved neighborhoods through the establishment of a Food Policy Council.